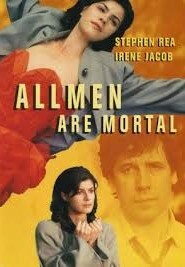 ALL MEN ARE MORTAL is a feature film based on the novel by Simone de Beauvoir. The film is set in the late forties during the hay days of existentionalism. The exterior scenes were shot in Budapest in 1993, the interior studio scenes were shot in Amsterdam. The story shows the curse of an Italian prince Fisca who became immortal. Actress Regina envies his mortality, she craves it, life means nothing to her unless she finds everlasting admiration.